The club is located on US 1 South, five miles south of King St. Turn east at Moultrie Pharmacy onto Brainard Dr., which is just north of Moultrie Creek, and you will continue to the end of the road to the Shriner's Club. 1: Click on the button to the right, fill in the website form, and you can pay directly to our PayPal account by clicking on the website contribution button. 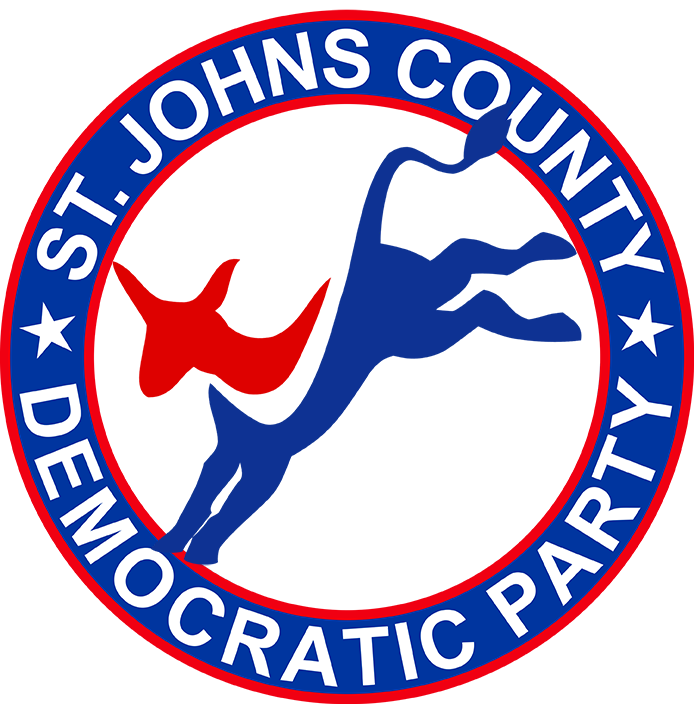 2: Call the office at 904-825-2336 to give your name and how many people will be in your party and send a check payable to SJC DEC to our office at: 71 South Dixie Highway, Suite 6, St. Augustine, FL 32084. 3: Come by the office, which is open weekdays from 11:00 AM to 5:00 PM at the above address, and pay for your reservation by check or credit card. If time allows, tickets will be mailed upon payment. With later reservations, tickets will be held for you at the event. 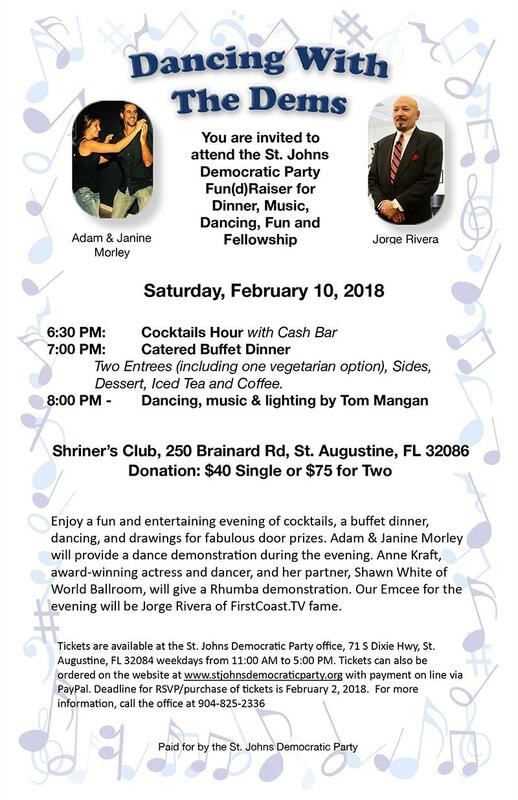 For more information, call the office: 904-825-2336. You can also pay for your tickets by clicking on the donate button to the right. However, you will also need to contact the office to let us know that it is a payment for the dance and not just a donation for the party.